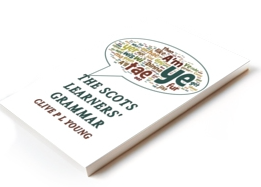 New downloadable book, including a James Costa article on Scots. In an article published in early 2016 in the left-wing, Glasgow-based and proindependence newspaper The National, a famous Scots language advocate and celebrated novelist called for a standard form of Scots to be established. “The lack o a Standard is simply haudin the language back when it needs tae be gangin forrit,”2 Matthew Fitt wrote, urging the various interested parties to start working at once.3 This call was in sharp contrast to the positions he had taken up to then, as he also asserts in that same paper. The opinion voiced by Matthew Fitt also stood in opposition to the generally prevailing opinion among language advocates that Scots needs no standard since it is overly diverse dialectally for a general agreement to be reached without much conflict. From Shetland in the North Sea to the border with England, from rural areas to urban centers such as Glasgow or Edinburgh, the realities of vernacular practices in Scotland are undoubtedly complex. 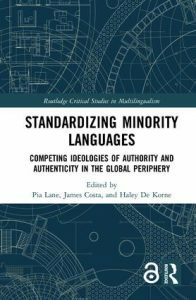 Whether or not this complexity impedes or, on the contrary, warrants a standard form has, however, been a matter for debate throughout much of the twentieth century-a debate that seemed settled when an anti-standardization consensus began to apparently prevail towards the end of the twentieth century, but which continues to re-emerge among Scots writers today.